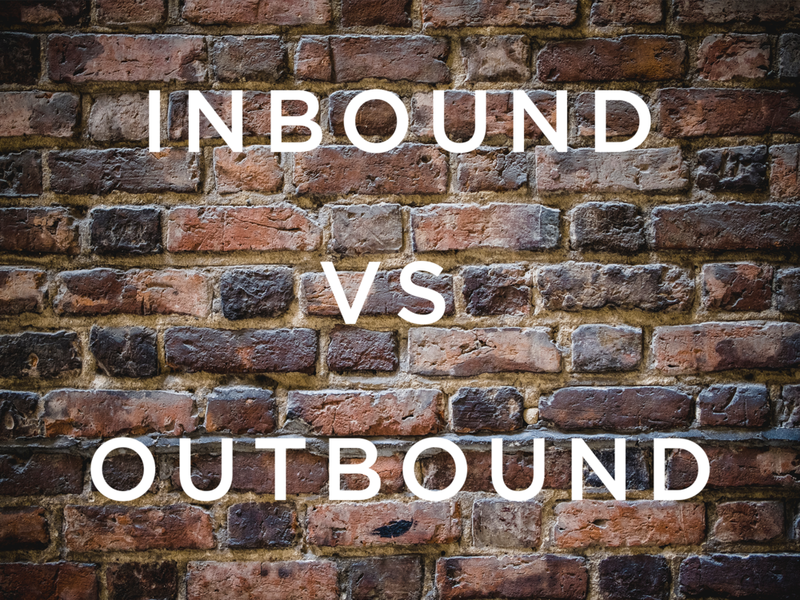 Which is better, inbound or outbound Marketing? If you can be certain of one thing, it's change. This is true for all things, and marketing is no different. In fact, I'd say that marketing is now one of the things that is most susceptible to change. We are firmly within internet 2.0, and with that came google 2.0 - it's smarter than ever before and this has caused a shift in the way people are choosing to market. For the last 5 or so years, we have seen the rise of the concept of 'Inbound marketing'. But what is it and how can it help businesses? Inbound marketing is essentially the principle of turning strangers into customers using the "Attract, Convert, Close, Delight" theory. This is often achieved by a business putting out a huge amount of content (such as blog posts), with the hope that someone will stumble across their content when searching for that service. Once they enquire, they become a lead and the inbound sales process kicks in. The issue with this approach is it can take months for any given piece of content to appear on Google, and when it does it can take many more months to get anywhere near page 1 - not ideal when they say you could hide a body on page 2 of Google. The outbound method is very different. Rather than waiting for people to stumble across your business, you go directly to your target clients with a valid and compelling offer to engage. When it comes to business, time is very precious. You can't be sat around waiting for the phone to ring, or an email to drop into your inbox. Outbound marketing is where you are proactively contacting a business that would have a use for your product or service. Using B2B methods such as telemarketing you can contact huge numbers of businesses on a daily basis, even reaching into the realms of 250-300 companies per day. This is a super effective way of generating new business. Typically, only 5% of your target market are actively looking for your product or service at any given time; leaving the other 95% of your potential revenue untapped. Often it can be the most passive of prospects that make you the most money! Email is also very widely used and can be very effective when targeted correctly. Both of these outbound marketing channels will naturally drive traffic to your website, which, guess what? Strengthens your inbound. So to summarise, you need both. You'd be right in thinking that as a telemarketing agency we could be biased against inbound strategies, but the truth is that we use them ourselves! Every company should have a healthy blend of both methods, as each complements the other. When a customer fills out a form or subscribes to a newsletter, a well-timed, informative phone call will work wonders in pushing a prospect down the sales funnel. You can follow up the call with an email, containing a link to a piece of content that - based on the conversation you just had with them - you know will be of interest, and hopefully convert them into a customer. Equally, when your telemarketing team or agency are making calls, they are generating interest and awareness for your product or service within the market. These calls can be followed up with an email thanking them for their time, and containing a link to a piece of content that may be useful to them. Either way, each one will make the other more effective, ultimately leading to more new business and growth for your company. We work with many partners, including Hubspot, so if any of this sparks your interest get in touch with one of our experts who would be delighted to assist you.